Our Tech Support Specialists have tech support down to a science and can turn your customer’s issues into a positive experience. Our knowledgeable specialists quickly identify, answer and resolve customer inquiries and issues while providing the personalized service your customers deserve. We understand the importance of technical support and how it builds and solidifies your customer relationship. At SkyCom we integrate our technical knowledge with our superior customer service skills to deliver unparralled technical support, each and every call. By allowing our team to assist with daily customer inquiries and issues your team can focus on the more challenging and strategic issues. It can be difficult to budget a fully staffed, internal IT service. Outsourcing your technical support is the cost-effective solution your company needs to continue to productively respond to initial customer support calls. SkyCom’s state-of-the-art communications system allows customers to reach us by phone, email, chat and social media. Our specialists can use live chat to assist with website navigation, gain remote access to troubleshoot hardware issues or reach out on social media to answer a variety of questions. This not only saves you money on technology tools and labor but also provides a higher level of service. Proven Call Center Excellence – Can you provide me with any awards the company has won and the year? PCI-Compliant – The Payment Card Industry Data Security Standard is an information security standard for organizations that handle branded credit cards from the major card schemes. SkyCom Call Center provides world class technical support that makes any level of the process fast and painless. In each and every interaction our specialists understand that they are representing your brand. Together, we can develop response protocols that ensure our agents provide your customers with the highest level of technical support possible. Running into technical problems can be very frustrating, even more so if you are not able to provide support to resolve it. Our agents have extensive experience in trouble shooting and guiding customers step-by-step to solve their technical glitches and identify when escalation is needed. We can support your clients by phone or through our chat application that can be installed on your website, whichever way your client prefers. On completion of training our team can be available at whatever time of day your business requires in order to provide your customers the seamless experience they deserve. We’ll work with you to establish clear KPI’s from start and you’ll have an account manager as your main point of contact moving forward. 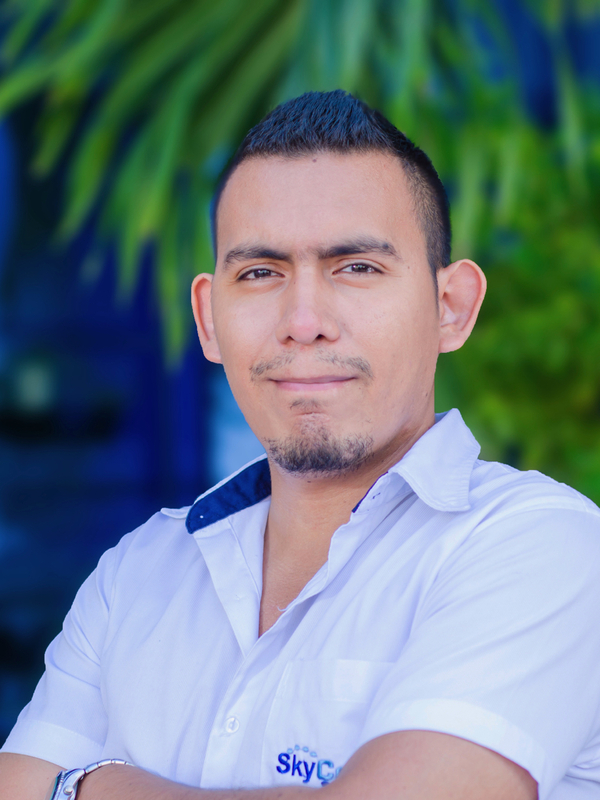 Ricardo joined SkyCom in 2013 in an IT support role before getting promoted. He has a university degree specializing in networks and is now studying a systems engineering degree. He is fascinated by the technological evolution and does a lot of self-study when not playing defense in SkyCom’s soccer team.